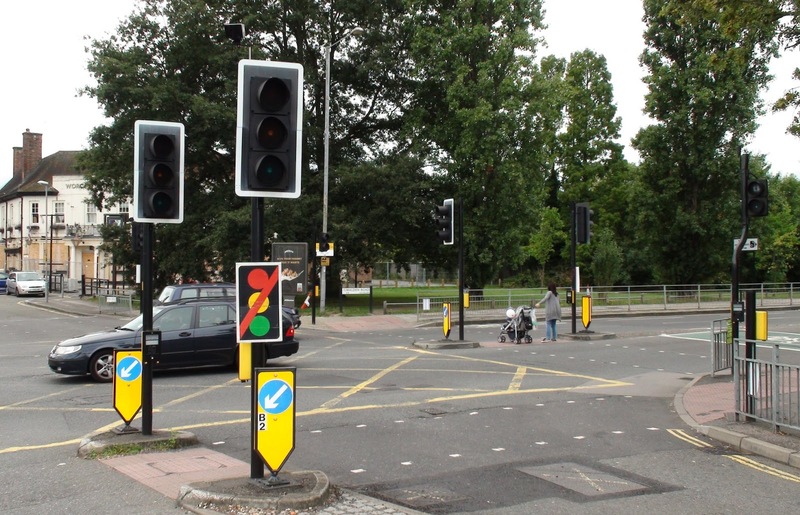 The latest source of traffic misery along Central Road is none other than the failed traffic lights outside Worcester Park station. These have been out since at least Saturday morning and while some administrative bod has been kind enough to hang signs on them to indicate their lack of function, no one seems to be around actually trying to fix them. Cars seem to be negotiating the intersection with reasonable enough grace so far. Traffic this morning wasn’t too bad but yesterday it was backed right up Cheam Common Road. Not looking forward to Monday Morning – especially as the schools are all back now. Phew, crisis averted - the lights are back on. Please disregard the now irrelevant bits of the previous post! Thanks blog reader Lisa for informing me that they were being worked on at around 8pm.